I have recently purchased 2 pairs of shoes from you for my soon to be 1 year old. A pair for now and a pair to grow in to (couldn\'t resist buying them in advance as they are so cute). They are wonderful and I am sure have made all the difference to her crawling advances. She is now truly on the move which is lovely as she was getting so frustrated especially on the wooden floors. she obviously thinks they are as cute as I do as she asks for them - she can nearly say shoes. Shoe love must be genetic! Thank you for supplying such a wonderful product. They have made all the difference. They are also always admired. So nice to purchase something that is 100% wonderful and no disappointments! \"A BIG THANK YOU! 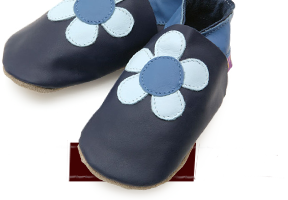 I first found you at \'The Big Chill\' when I was pregnant with my daughter and bought a pair for her. She has since grown out of them and I ordered two more pairs yesterday morning, they arrived at 9.20am this morning. Very impressive customer service. I shall be buying more for all my friends with babies.\"
I received them yesterday, so adorable!! I love Starchild! Thank you and have a good day. Thanks a lot!! I received my order today! So happyyy! 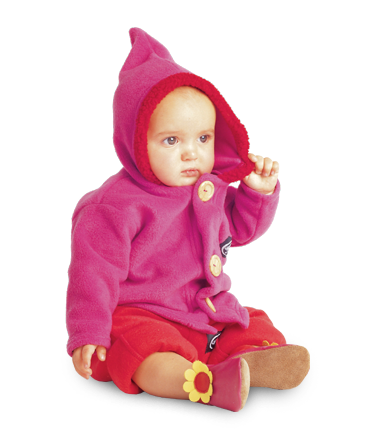 Finaly, it\'s fast and slippers so adorable as usual ..
On behalf of the Loughborough branch of the NCT, I would like to thank you for your generous donation towards our Nearly New Sale tombola. This was our most successful sale to date and we have raised in excess of £3500.00. The goal of the NCT is to continue to make a difference. With the help of donations from supporters such as you we will continue to support local parents. Thanks again for your generous support. Just wanted to say thank you so much for the wonderful shoes, i love them so much I have just ordered another pair, they look great and stay on which is a complete god send! 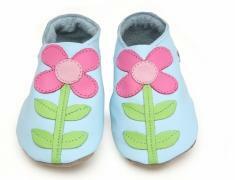 Look forward to ordering more when my little ones feet grow as I love all the colours!! thanks again. I just wanted to let you know that my babys Americano shoes came in today. I rarely write messages like these but I had to let you know that they have exceeded my expectations! I love, love, love them. The first chance I get I will send a photo for your gallery. Thank you for the prompt delivery and wonderful shoes!